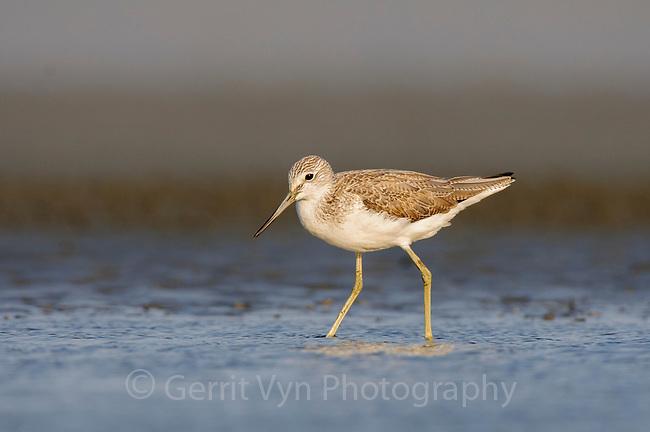 Common Greenshank (Tringa nebularia) foraging on tidal flats. Rakhine State, Myanmar. January.